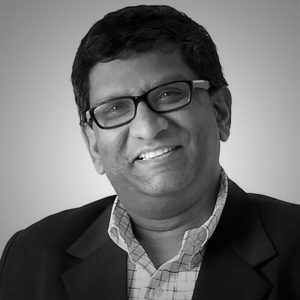 A seasoned media and technology executive, entrepreneur and early stage investor primarily focused in the UK and India. Passionate about building new businesses especially in the areas of media & technology capitalizing on the opportunities created by globalization and proliferation of technology and its convergence that enable start-ups to successfully disrupt traditional value chains in these industries. Held a series of positions in the Indian media industry that culminated into being chosen to roll out Zee internationally. As MD Zee international,launched the first Indian language broadcaster in UK, US, South Africa and West Indies delivering over 50% of the profits of the listed Zee Telefilms. In 2000, decided to strike it on my own launched Recreate Solutions – a digital media services company with backing from Insight Partners. Within six years the company grew over 800 people and established itself as global player with offices around the world leading to my first exit. Recreate was sold to a major US system integrator that delivered substantial return on shareholders’ investment. That led to adopting the role of an early stage investor/advisor for start ups in the media and technology space both as a primary investor as well as an advisor to private equity firms. Serve as an advisor to the UK Government and Start Up Britain – as well as a Tech London Advocate. On the Advisory board of FICCI on Media and Entertainment as well as TRAI (Telecom Regulatory Board of India) on the Digital Addressable System Roll-out in India. Regularly contribute to discourse on media, convergence and entrepreneurship in UK and in Asia, in various conferences as well as publications. Also a Founder Charter Member of TIE in UK and on the board of Total Start’s Mentor and Governance Board.